Pamplin Media Group - Should a toll bridge replace the Canby Ferry? Should a toll bridge replace the Canby Ferry? 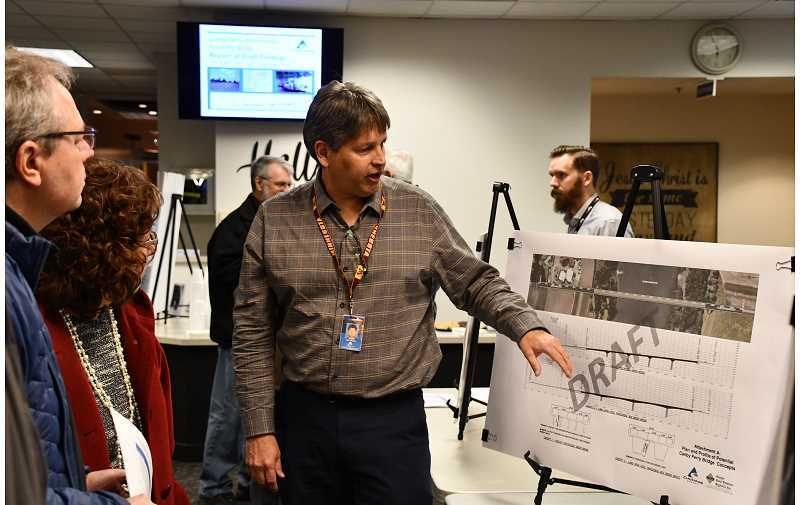 Nearly every seat was taken as those who've worked on the Canby Ferry Feasibility Study explained the details of their draft findings to an audience of people from as far as Oregon City and as close as Canby. Once the presentation was over, the meeting opened for questions, which came in droves, as did a slew of comments against the idea of a toll bridge in place of the ferry. One such comment came from former Canby Mayor Terry Prince, who asked the Canby City Council to join the citizens in supporting the ferry and keeping Canby from becoming a pass-through. The meeting, held Jan. 15, at the Foursquare Church on Highway 99E, was a session to glean people's feelings regarding the draft findings and the potential of continuing the Canby Ferry or building a toll bridge. Nothing has been decided yet, both county spokesmen told the audience several times. The Board of County Commissioners will receive the same report of draft findings on Jan. 30 at 9:30 a.m. in the Board Hearing Room. They will hold a listening session at the Canby Foursquare Church on Feb. 19 at 6 p.m., and the final report will be presented to the board in early March. While some comments were questions, many others claimed the report's math was wrong, that Clackamas County hadn't thought the alternatives through, that the county was just trying to get revenue and, basically, it isn't a good idea to build a bridge when the ferry works much better. That's the question Steve Williams, principal transportation planner, has been trying to answer over the last 18 months. He led the study, looking primarily at four alternatives to crossing the Willamette where the ferry has crossed for more than 100 years. "The ferry has certain limitations: it can't operate when the river is above 70 feet, in inclement weather, at night or when there's no electricity; it only serves about 200 vehicles a day or six at a time; and probably most important it's losing money," said Williams. "Running the ferry has lost an average of $400,000 per year for the past three years and the losses are expected to continue." Click here to read the rest of the story in the Canby Herald.